Today I started -very close to where we left of yesterday- my new 6 week internship at the Institut Pierre Werner. 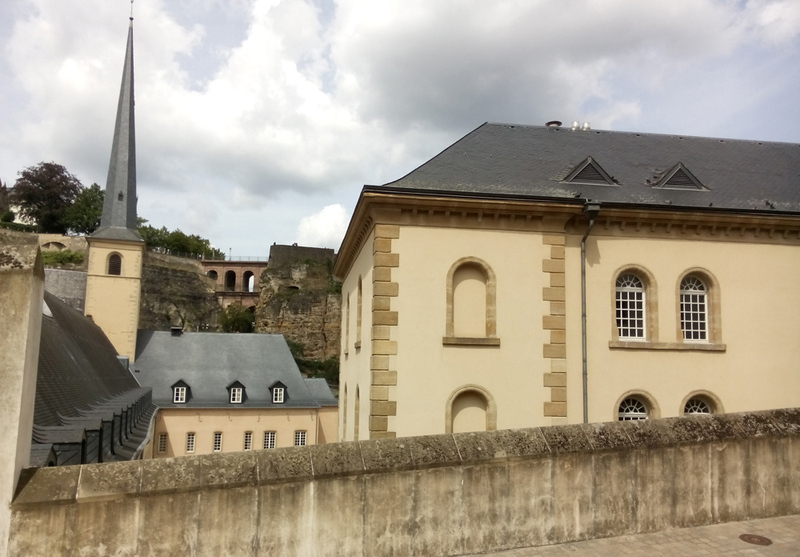 IPW is a German-French-Luxembourgish culture institute devoted to the cultural and intellectual dialogue between its founding states. 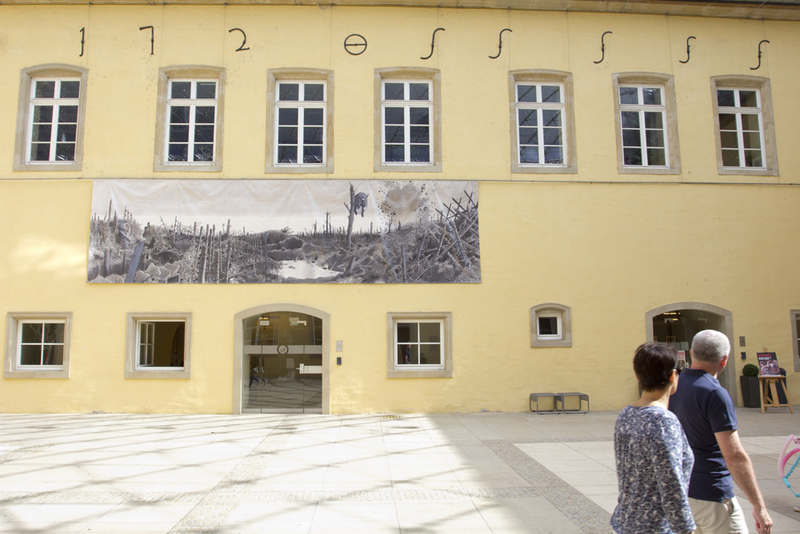 Situated in the old Neumünster Abbey in Luxembourg city, IPW offers lots of interesting insights into various cultural activities. 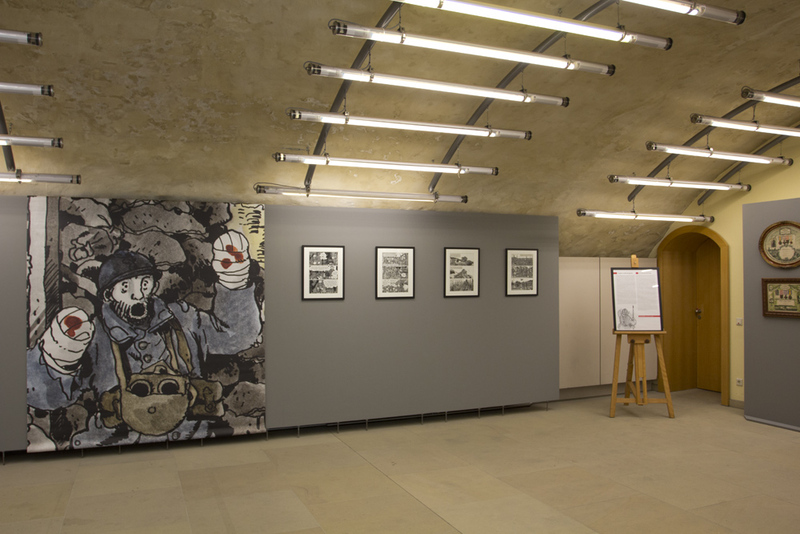 One part of my work will consist in informing visitors about the exhibition about the comic author Jacques Tardi, which is currently taking place in the ground floor of the building. 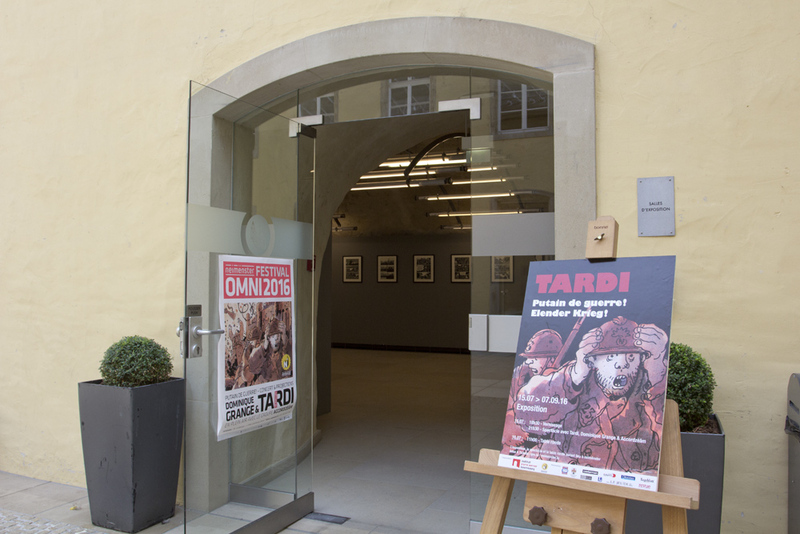 It's free entrance, so feel free to drop in at any time, look around and discover some great original comic artworks about WWI.